Super addition to the garden. Hardy and can survive as low as to -20c. Unusual and interesting,will catch wasps, earwigs,flies and many other unwanted pests in the garden. 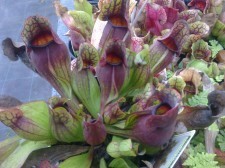 Decorative ''pitchers'' and highly attractive flowers aswell. 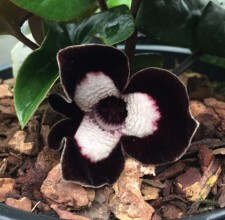 This plant eats flies and insects. 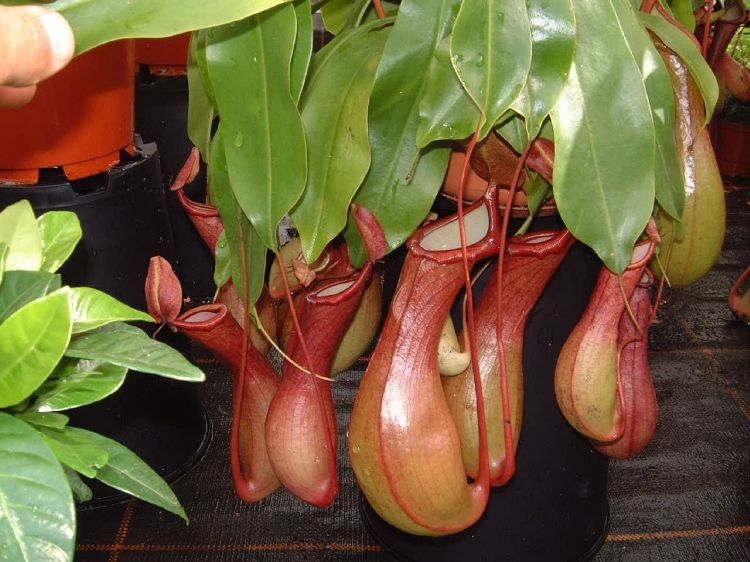 Originating from Southeast Asia these these strangely beautiful plants have developed carnivorous feeding habits to boost their nitrogen intake. 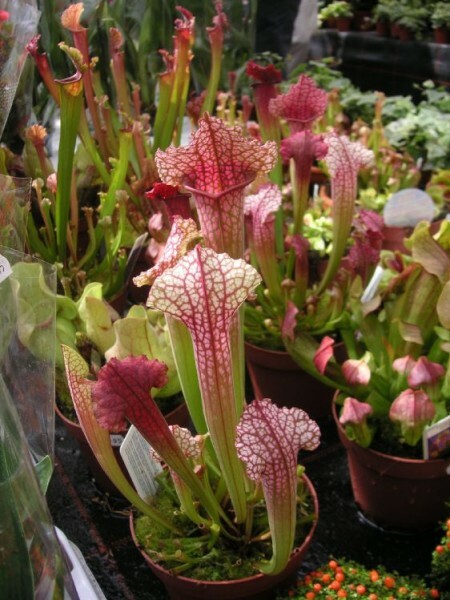 Pitchers, formed from modified leaves, develop from swellings at the end of long tendrils. Insects, once attracted to the lip of the pitcher, fall into the traps and are unable to escape due to the steep, slippery sides. The pitcher acts like a stomach, digesting the helpless insect. Easy to care for and useful too. The Venus Fly trap is one of the easiest carnivorous plants to grow, Good light, stand in a saucer of water.They are native to boggy areas of Carolina in the USA. 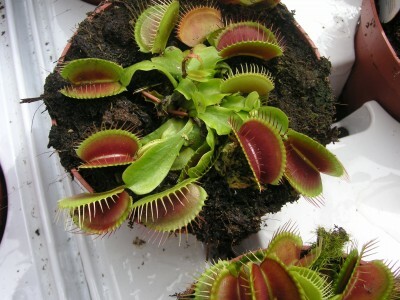 The leaves of Venus'' Fly trap open wide and on them are short, stiff trigger or hairs. When anything touches these hairs enough to bend them, they close trapping whatever is inside. The trap doesn''t close all of the way at first. It is thought that it stays open for a few seconds in order to allow very small insects to escape because they wouldn''t provide enough food. Slug eating Pitcher plant. As it eats the slug a seal is formed which prevents the odour and thus stops other animals attacking the plant. hardy. Very unusual evergreen for the woodland setting. Incredible thumb sized flowers in early spring.